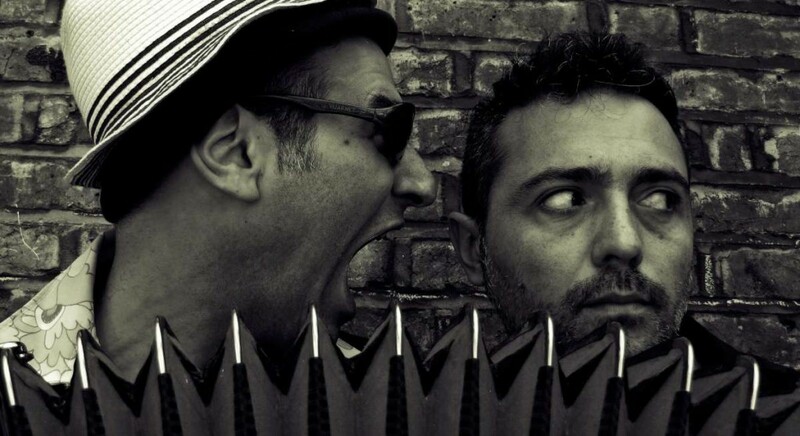 Having (both) been the accordionist for many years with the famous Cosmic Sausages this lively duo bring a wealth of busking experience and musical idiocy to their new project. Combining instrumental virtuosity with a powerful ability to reduce some of the world’s most beautiful tunes to ruins they have a firmly placed foot in the absurd and their tongues very much in cheek. From Brubeck to Bach and back to Bacharach they take an eclectic tour of musical styles that truly celebrates the beauty of the accordion. 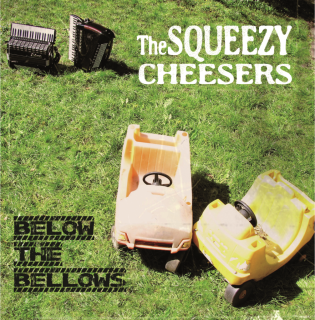 Their first album “Below the Bellows”, like their live show, mixes original compositions with well known tunes re-arranged from their own skewed personal perspective. 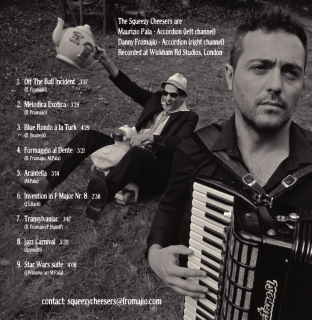 Paletta Sbronzizio, aka Maurizio Pala, is an Italian accordionist who lives in London. Well-experienced of live performance with different bands like Tango Porteño (Argentinian Tango / A.Piazzolla), The Cosmic Sausages (Comedy Music), Magic Tombolinos (Eastern European), Bandaradan (Comedy Klezmer-Music), Paranza del Geco (Italian Folk). He is also a composer (production and theatre music) and accordion teacher. Danny Fromajio aka Daniel Teper bought his first accordion in Little Italy, Boston, USA, in a ‘sporting goods’ store that also sold guns. It was a tough choice, but in the end he decided he could do more damage with the accordion. Since then he has sharpened his marksmanship by playing with all manner of eclectic types from The Cosmic Sausages to Eric Idle, Gary Potter, Will Young, Steve Mac and Mara Carlyle. Dan also writes magical and cheesy ditties for film and TV, his music having graced hundreds of shows from The Apprentice to Oprah Winfrey to Only Fools and Horses.